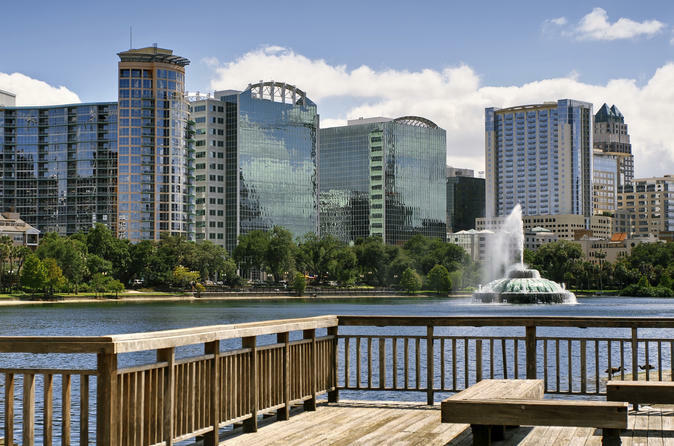 Start your Orlando City Sightseeing Tour at Lake Eola. Established in 1888 this was the first piece of land donated to the City of Orlando to be made into public space. Continue to Winter Park, the self proclaimed "Venice of America" due to its canals and cobbled streets. Here you will take a one-hour cruise along the "Chain of Lakes". In the afternoon you will have some free time to explore exclusive and chic Park Avenue. You won't find any strip malls or department stores here, it's all upscale boutiques, specialty retailers quaint cafes and art galleries. Your final stop on the Orlando City Sightseeing Tour is the Disney built town of Celebration. The town is directly connected to Disney World by World Drive and is the first Disney planned community development.